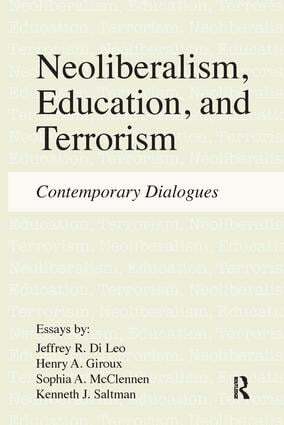 Neoliberalism, Education, Terrorism: Contemporary Dialogues is a collaborative effort among four established public intellectuals who deeply care about the future of education in America and who are concerned about the dangerous effects of neoliberalism on American society and culture. It aims to provide a clear, concise, and thought-provoking account of the problems facing education in America under the dual shadows of neoliberalism and terrorism. Through collaborative and individual essays, the authors provide a provocative account that will be of interest to anyone who concerning with the opportunities and dangers facing the future of education at this critical moment in history.